My favorite vegetable is brussels sprouts (I know… I’m weird!). Oh, and just a little side note, did you know that brussels sprouts are spelled with an s at the end of brussel? No joke, just check out wikipedia. I seriously just learned this today. I always thought they were spelled brussel sprouts (Because that’s how they’re pronounced. It’s like a tongue twister to say brussels sprouts)! Anyways, back to the topic at hand. 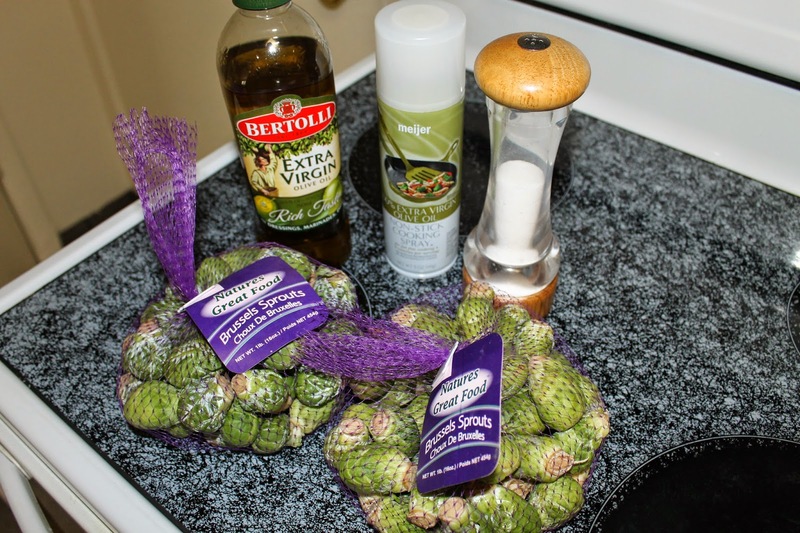 Have you ever tried brussels sprouts? They are delicious! I love them just steamed with lots of salt on them, but one of my favorite ways to make them is roasted in the oven! Yum yum! My kids even gobble them up this way! Next time you go grocery shopping pick up some brussels sprouts and try out this super easy recipe! 1. 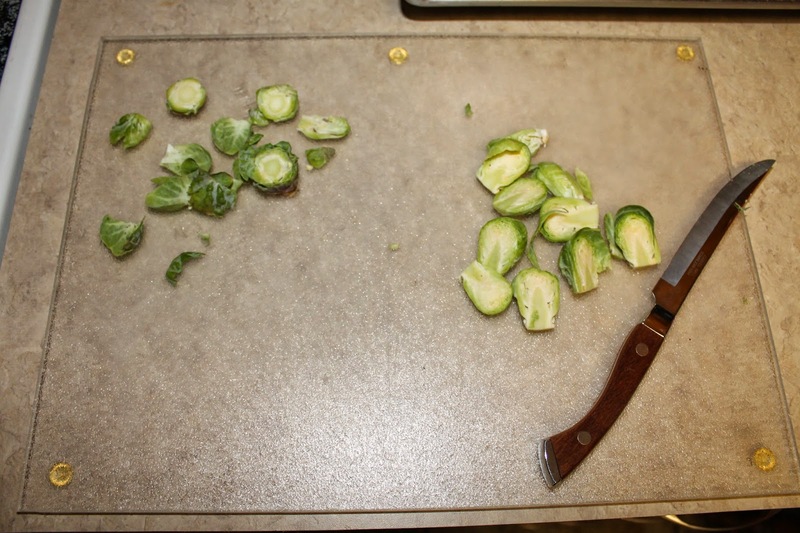 Wash the brussels sprouts and then cut the bottoms off. I also usually have to take off the first layer of leaves because there is often dirt underneath that I want to get rid of. Cut the sprouts in half . 2. 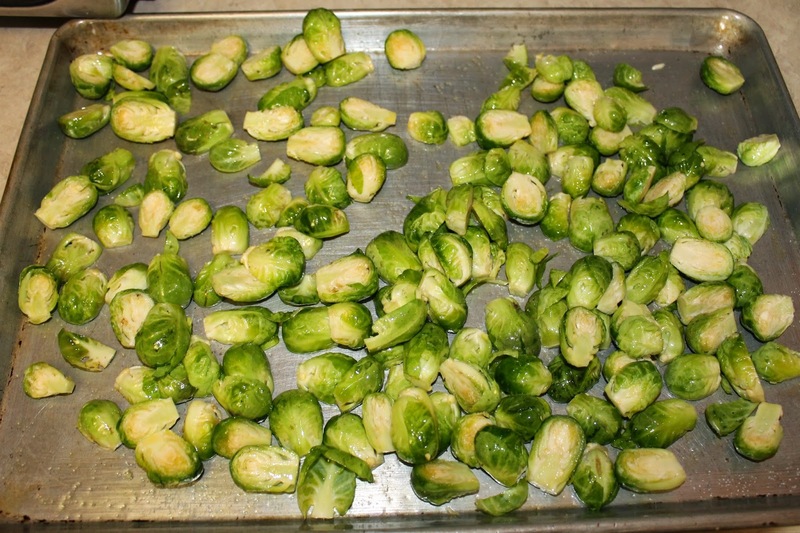 Arrange the brussels sprouts onto a baking sheet (preferably one with edges so they won’t fall off when you stir them). 3. Drizzle olive oil (or spray heavily with olive oil spray) on the sprouts and shake a good amount of salt on them too. Stir to coat the sprouts evenly. 4. 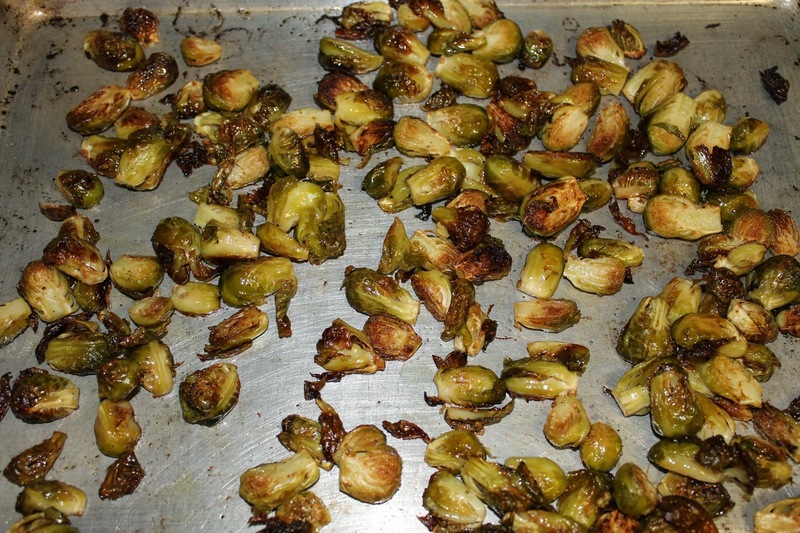 Bake the brussels sprouts at 400 degrees for about 30 minutes, checking and stirring often. 5. Enjoy delicious brussels sprouts with yummy, crispy leaves and tender insides! How do you make your favorite veggie? I’d love some new recipe ideas!! I love them too! I was out of oil olive oil one day but I had bacon! So I fried up two pieces then crumbled the bacon and poured the fat over them……yum, so good! That is company worthy when you make them the bacon way. I also love them the healthier route too! Great fiber. Oh my! That sounds delicious! Bacon makes everything better! I will definitely be trying it! Thanks for sharing!! Brussels sprouts can be an acquired taste! 😉 Broccoli is yummy too, and sounds especially good with garlic salt and butter!! Thanks for sharing! Yum! I did not know there was an s at the end, learn something new every day. 🙂 I love roasted veggies of any kind. My favorite lately has been beets, I've been craving their earthy flavor. Brussels sprouts are one of Seth favorite vegetables, but he only likes them steamed. 😦 Maybe with the bacon Brandi suggested he would like the roasted.